Lets take a look at how the Arizona Diamondbacks played in the second month of 2011, and see if they improved on their 11-15 record they put up in the month of April. As May started, the Diamondbacks were just ending a home series against the Chicago Cubs. They won the final game of that series on May 1st 4-3, which started the second month of the season on a positive note. 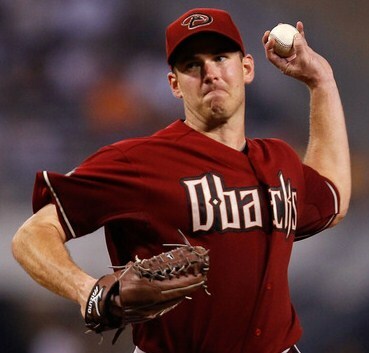 The Diamondbacks continued their home stand with a series against the Colorado Rockies. They won 2 out of 3, with both victories coming by 1 run. Then they went on the road for 9 straight games. They played the Padres first, and won 1 of 3 in that series. They traveled to San Francisco next to play the World Champion Giants, and were swept, going 0-3. At this point, the Diamondbacks record was 15-22, 4-7 for the month, and May was starting to look a lot like April. Then the Diamondbacks went to Los Angeles to play the Dodgers. They lost their first game 3-4, but ended up winning the last 2, and won their first series on the road in May, and only their second away series win for the year. The Diamondbacks headed back home for their next 7 games, and once again home cooking was good for the team. They lost their first game against the Padres, but won their next 6 in a row, including the final 2 against San Diego, 2 against the Atlanta Braves, and 2 against the Minnesota Twins. Unfortunately, the Diamondbacks had to go back out on the road for 7 games in a row, and who knew if they could continue their winning ways? Their first stop was in Colorado. They had a 4 game series because they were making up the game they missed earlier in the season due to snow flurries. They had a double-header the first day, and ended up losing the first game, but winning the second game. They went on to win the next 2, and took the series 3-1. 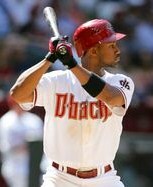 The Diamondbacks went to Houston to play the Astros next, and took 3 in a row from them before heading off to Florida. They finished off the month by beating the Marlins in their first game, but losing to them in their last game on May 31st. 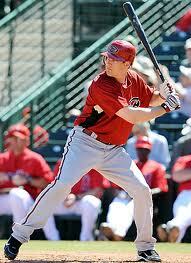 Overall, May turned out to be a very successful month for the Arizona Diamondbacks. Although they started off going 4-7, they turned it on the rest of the month and went 15-3. During the month, their longest win streak was 7 in a row and their longest losing streak was 4 in a row. The Diamondbacks home record for May was 10-3, much improved from April’s 7-8 at home. The Diamondbacks were also successful on the road, going 9-7 for the month of May. Their overall record for May was 19-10, and they won 6 of the 9 series against their opponents. Their offensive production was about the same as in April. They scored 6 or more runs in 8 of the 29 games they played, but they won all 8. The magic number for the Diamondbacks this month was 4. When they scored 4 or more runs, they were 14-3, and when they scored less than 4 runs they were 5-7. So what contributed to the success of the Diamondbacks in May versus April. Well, the team did not really improve their offensive statistics over April, although Chris Young had 6 stolen bases and 14 walks, Kelly Johnson came out of his slump and hit 7 home runs, and Juan Miranda improved his batting average and hit 4 home runs. There were several players that actually lowered their production from April. Stephen Drew, Ryan Roberts, Gerardo Parra, Melvin Mora, and Willie Bloomquist all saw their numbers drop in May. Although they had their offensive struggles, the Diamondbacks are still ranked within the top 5 in slugging percentage and home runs. However, the biggest difference in the play of the Diamondbacks was not the offense, it was definitely the performance of the pitching and their overall defense. The Diamondbacks saw some pitching changes in the month of May. The first big change was when they recalled relief pitcher Josh Collmenter from Triple-A-Reno on April 15th. I don’t think at the time the Diamondbacks knew that he would end up being their number 4 starting pitcher within a month. This all came about when reliever Aaron Heilman was reinstated from the disabled list on May 5th, and Barry Enright was optioned to Triple-A-Reno. In 6 regular season starts this year, Enright was 1-3 with a 6.49 ERA, so manager Kirk Gibson had to make the change. Josh Collmenter came into the starting role, and in 4 games posted a 2-1 record for May with an amazing 1.61 ERA. Collmenter pitched into the 6th inning in 3 of his 4 starts, and posted 10 strikeouts to only 3 walks. He had already won more games than Enright, and his 1.61 ERA was a huge improvement over Enright’s 6.49 ERA. I am sure the Diamondbacks are hoping Collmenter can continue this performance throughout the rest of the season, and if he does, it would be a huge benefit to the team. The other big change in the pitching staff came when the Diamondbacks assigned starter Armando Galarraga to Triple-A-Reno on May 21st. This was an off-season acquisition that has not panned out. When I first heard that the Diamondbacks acquired Galarraga, I was less than impressed. I said at the time that bringing in a pitcher with a 4.50 ERA to replace a pitcher with a 4.50 ERA was not helping the team get any better. In his 5 year career in the major leagues, Galarraga has a 26-30 record with a 4.69 ERA. Galarraga actually had the opportunity to become a free agent with his release, but opted to stay with the Diamondbacks and take the Reno assignment. By doing this, he will continue to receive his $2.3 million salary. With a 5.91 ERA in 8 starts this year, I guess he felt he probably wouldn’t be getting any better offers from any other teams this year. Zach Duke returned from the disabled list to replace Galarraga in the starting rotation, and made his first start May 28th. He ended up pitching 7 shutout innings and getting the win. Galarraga had lost his last 4 games. Once again, it looked like the Diamondbacks had made the right decision to make the pitching change. In addition to those changes, the rest of the starting pitchers had a much better May than April. The ace of the staff, Ian Kennedy, ended up posting the same 3-1 record as he did in April, and has been very consistent so far this year. His biggest improvement was only allowing 11 earned runs in 6 starts as compared to 17 in his 6 starts in April. His 2.43 ERA was a big improvement over his already team best, at the time, for April 3.92 ERA. Daniel Hudson, the number 2 pitcher on the staff was 5-1 in May, and posted a 3.02 ERA for the month, compared to his 5.30 ERA in April. He lowered the number of walks, but again, the biggest improvement was the decrease in the number of runs he allowed. He allowed 19 earned runs in 30 1/3 innings pitched in April, and only 14 earned runs in 41 2/3 innings pitched in May. Joe Saunders finally posted his first win of the season, and ended May with a 2-2 record. Many of his numbers were the same as they were in April, but where he did improve was in lowering the number of walks, reducing the number of hits, and most importantly, posting a 3.96 ERA versus his 5.93 ERA in April. 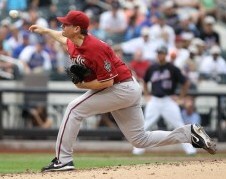 JJ Putz continued his impressive start to the season, extending his perfect record to 16 of 16 in save opportunities. He also posted an amazing 0.00 ERA for the month of May, and allowed only 5 hits in 13 innings pitched. He is having one of the best years of his career so far, and the Diamondbacks can only hope he keeps this up the entire season. The pitching staff has stepped up their game in May, and it shows in their amazing transformation from winning 11 games in April to winning 19 games in May. The second month of the season was a huge improvement over the first month for the Diamondbacks. By winning 19 and losing only 10, their overall record for the season through May was 30-25. This was actually good enough to move them into first place in the National League West division, placing them a half game ahead of the World Champion San Francisco Giants. If you take the Diamondbacks 30-25 record through May and extrapolate it out for 162 games, they will end up with an 88-74 record. I am still not sure if that would be enough to win the division, but it would be 23 games better than last years 65-97 record, which landed them in last place in their division. I am glad to see that management has made some pitching changes because it was necessary if the Diamondbacks wanted to have a successful season. However, because much of the pitching statistics remained the same as in April, other than the ERA, I still feel that the Diamondbacks need to improve. I am not convinced that this is a playoff team yet, but if they continue their winning ways for another month or so, they just might make a believer out of me. They have had some good performances from some younger players, and that bodes well for the future, but the team overall still needs to become more consistent. I look forward to seeing what June will look like, to see if the Diamondbacks can continue their success, or I may find out that May was just a fluke. ~ by Troy Erickson Realtor on June 14, 2011.